It’s unbelievable that we’re already in August. I saw a meme the other day saying “June and July literally lasted 4 seconds,” and that’s exactly how I feel. 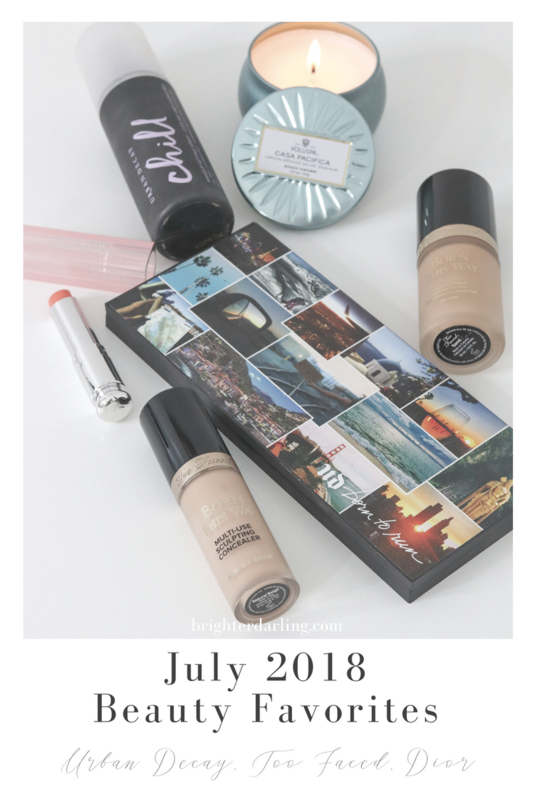 However, I have been pleasantly surprised with a lot of new beauty products on the market (and a coupe not-so-new) lately and can’t wait to share these five July 2018 beauty favorites with you. In July, my husband and our two pups went on our Babymoon to the city we used to live in/got married – Wilmington/Wrightsville Beach, NC. During our time there, we did our maternity photo shoot (more to come on that) so that meant that I was diligently curating my makeup that I would take with me on our trip. I had been lusting after the Dior Lip Glow tinted lip balm for years. It’s one of those balms that adapts to a unique shade to you, with slight differences depending if you pick the pink, raspberry, lilac, berry, ultra pink, holographic pink, holographic purple, or coral tint. I chose coral because it’s awesome for summer on my golden/olive skin. I love using this balm on-the-go in my purse. It livens up my complexion and is so creamy/hydrating. Yes, it’s a splurge because it’s Dior, but the packaging is so pretty and the shade is summer perfection – super easy/no brainer makeup! I tried a sample of the Born This Way Foundation when it first came out and I was living in hot/humid Houston, TX; and did NOT like it. It was really silicone-greasy on my skin then. But now that I’m back in the northeast and my skin is more normal/combination now with pregnancy, I wanted to give it another try years later. I’d say this is a natural finish (not too matte, not radiant/dewy) formula with medium-full coverage and it worked amazingly well for my maternity shoot photos. The shade range is great and it’s very long wearing. If you watch my YouTube channel, you’ll know I was generously gifted all of the new Too Faced Born This Way Sculpting Concealer shades to review/test out. This multi-purpose, radiant-finish, medium to full coverage concealer looks natural on the skin and photographs perfectly. I like it because it doesn’t exacerbate any fine lines/dryness around the eyes like other concealers. I’m often asked about setting sprays and I rarely think they’re an essential for every day – but there are a couple of gems out there that make a difference particularly in the summer heat/humidity. 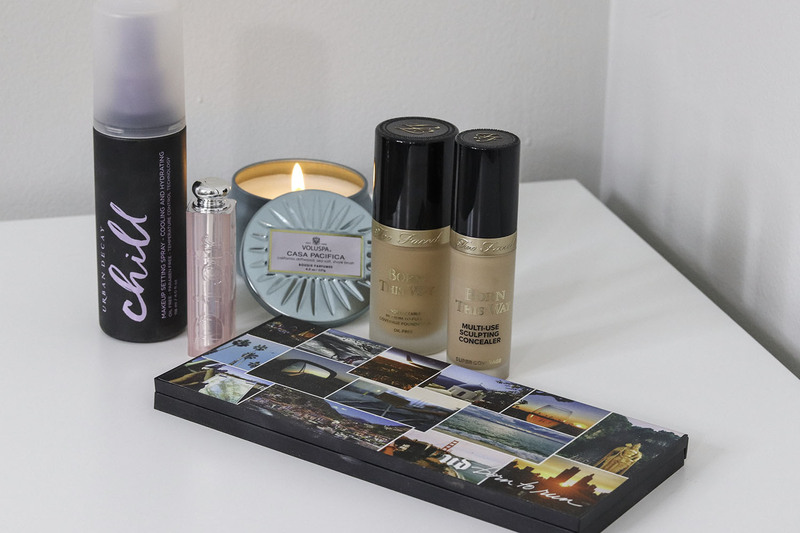 I am loving Urban Decay Chill Makeup Setting Spray because I think it works just as well as their (more popular) All Nighter Setting Spray, but there’s just something different about this one that isn’t quite as flat on the skin. This is the stand out of the month! I think it’s safe to say Urban Decay loves launching eyeshadow palettes. Whether they’re small or huge, permanent or limited edition… nearly everyone loves UD shadows. When they first released the Born To Run palette (full review here), I hesitated. And then quickly understood the hype of this cleverly thought out palette. 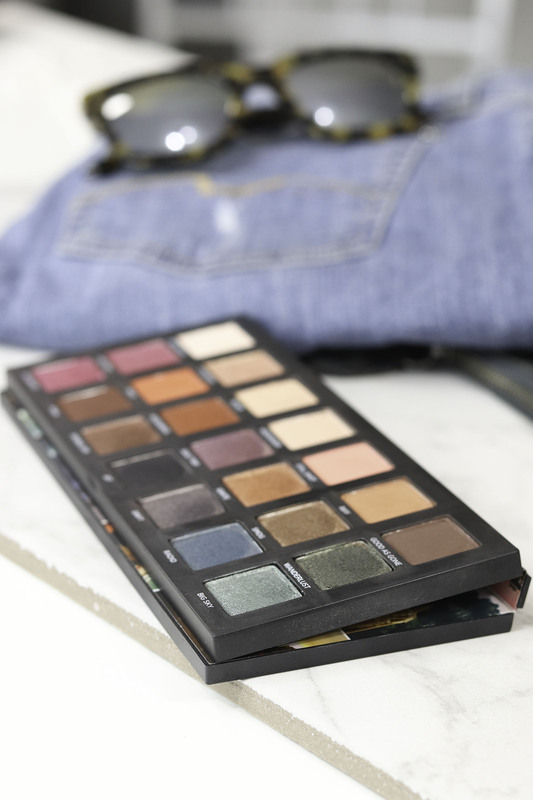 It truly has any shade anyone would need to create ANY eye look – from matte and natural to smokey, colorful and dramatic… plus everything in between. Obsessed and another Best of 2018 as far as I’m concerned. That wraps it up for July 2018 Beauty Favorites! What have you been gravitating towards a lot this summer? Anything I need to check out before the temperatures start to drop again (sad face)?